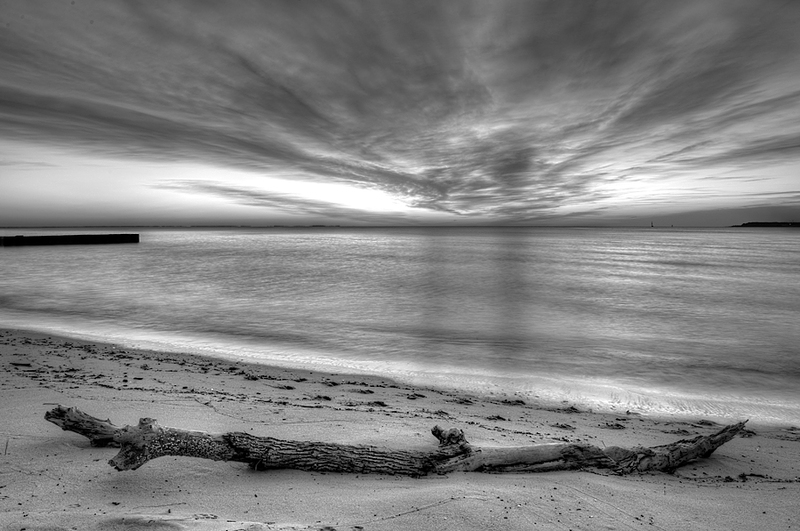 It’s rare for me to process a sunrise picture to black and white but in this case I was instantly taken with the B&W version of this sunrise along the Chesapeake Bay. I like how the tree branch mimics the cloud shape in B&W however in color the association is lacking. Interesting though when I was taking the image set I was thinking how beautiful the colors were. It’s a good lesson for me to find shape and tones in the scene. One day I would like to take a great photo. Yes Just one really nice one, Then I would think about finding another one.